Anyways, I just wanted to say a quick hello, I’m alive, I’ve been home celebrating my best friend getting hitch and being very jet lagged on both ends haha! I said it on my Instagram yesterday but I’ll say it again. If you want to instantly feel put together and polished – get yourself into an all white/cream outfit. Head to toe. Especially this season its super trendy to go all white. It just looks clean, chic, effortless and beautiful. Even better, play with textures and all different shades of white. Once upon a time I would only wear whites togther if they were the exact same shade of white but NO LONGER! The different the shades the better! Yesterday I did my best “at home” version of all white. 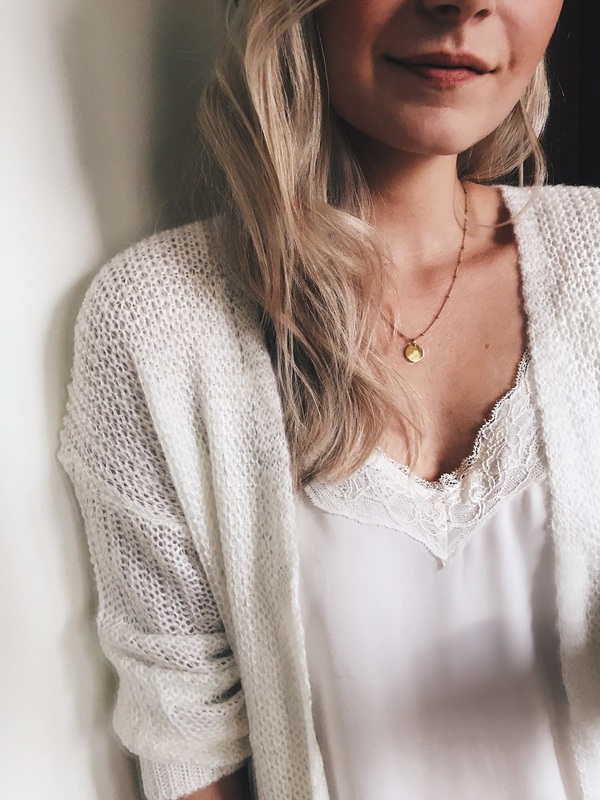 A pretty and dainty cami, an ankle length cream cardigan and PJ shorts – haha! I was super comfy and cozy but I felt like I could answer the door should I need to without feeling like I looked like a monster. I held an event here, and it couldn't have gone any smoother. An infinite list of food items were there at wedding venues Los Angeles. Their staff and manager were excellent. As an event coordinator, they made my job extremely easy.